Cary, N.C., June 2, 2013 – The Pantry, Inc. (Nasdaq:PTRY), the leading independently operated convenience store chain in the southeastern United States, today announced it will celebrate the new Victory Junction Kangaroo Express “Kid Zone” Playground at Myrtle Beach Speedway during its July 3 Wheels of Destruction Thrill Show. Kicking off the speedway’s Independence Day Weekend festivities, the patriotic celebration will be the first of several exciting community events planned for 2013. In addition to enjoying the new Kid Zone Playground, attendees will have a chance to share a message of thanks and appreciation for our troops and their families with a visit by Kangaroo Express’ Salute Our Troops® Tour. Traveling throughout the Southeast, the tour raises funds and awareness for the USO, Fisher House Foundation and eight state-based military support organizations, including the South Carolina Military Family Care Association. The tour also features fun family games including basketball toss and corn hole. Patriotic events will also include a paratrooper show, as orchestrated by the All-Veteran Parachute Team. The playground is dedicated to Victory Junction, a year-round camping environment for children ages six to 16 with chronic medical conditions or serious illnesses. Built with funds raised during Kangaroo Express’ 2012 Victory Junction fundraising campaign, the Kid Zone playground rallies the community behind the camp’s cause and provides speedway guests with a family-friendly play area. Featuring a jungle gym with four slides, the playground also includes safety mulch created by recycling more than 6,000 used racing tires. Kangaroo Express stores in Charleston, S.C., first began raising funds for Victory Junction in 2009 and have since expanded to North Carolina, South Carolina and Virginia. This year’s fundraising campaign raised more than $1 million for Victory Junction for the second year in a row by encouraging guests at each of its participating Kangaroo Express store locations to donate $1 at the register. Victory Junction is a year-round camping environment for children, ages six to 16, with chronic medical conditions or serious illnesses. Founded by Kyle and Pattie Petty, in honor of their son Adam, the camp is located in Randleman, N.C. Victory Junction offers programs for a range of disease groups and maintains strong relationships with more than 30 partner hospitals. Victory Junction’s mission is to provide life-changing camping experiences that are exciting, fun and empowering, in a safe and medically-sound environment, always free of charge. As a not-for-profit organization, the camp operates solely through the support of generous individuals, foundations, organizations and corporations to provide this experience at no charge to children and their families. Since the camp’s inception, more than 17,000 children and families have received not only a circle of support but experiences thought to only be possible by healthy children. For more information or to donate, visit www.victoryjunction.org. The Myrtle Beach Speedway, originally named Rambi Raceway, was built in 1958 and is located at off of Highway 501 in Myrtle Beach South Carolina. The speedway is a semi-banked asphalt oval track that spans 0.538 miles. Over the years, Myrtle Beach Speedway has been the training ground for some of today’s biggest stars including Dale Earnhardt Jr., Jeff Gordon, and Denny Hamlin. All four generations of Petty’s (Lee, Richard, Kyle, and Adam) and all three generations of Earnhardt’s (Ralph, Dale Sr., and Dale Jr.) have taken a green flag at the historic track. Myrtle Beach Speedway currently hosts weekly NASCAR racing from April to November as well as family shows (Wheels of Destruction Thrill Show) and special events. Myrtle Beach Speedway is also the permanent home of the NASCAR Racing Experience where fans and tourists can drive the actual Sprint Cup Cars previously raced by the stars of NASCAR. 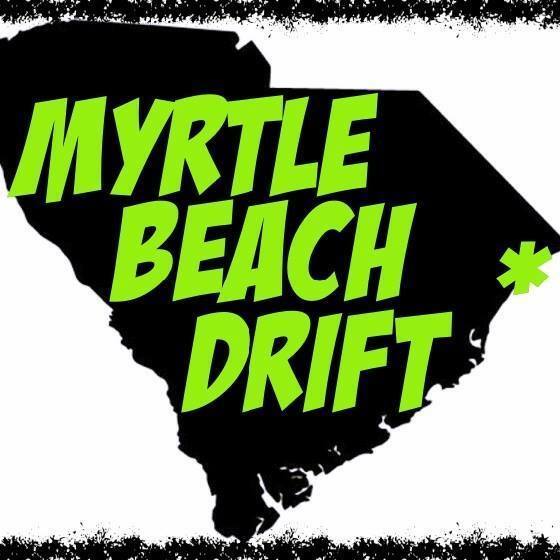 For more information visit www.myrtlebeachspeedway.com. The Pantry’s Kangaroo Express® convenience stores meet the daily food and fuel shopping needs of guests. As of May 7, 2013, the Company operated 1,567 stores in thirteen states under select banners, including its primary operating banner Kangaroo Express. The Pantry is one of the nation’s largest convenience store chains and the leading independently operated chain in the southeastern United States. The Pantry is headquartered in Cary, N.C. For more information, visit www.thepantry.com. Kangaroo Express offers hot and cold beverages, snacks, fresh foods, gasoline and a wide assortment of merchandise and services for guests’ on-the-go lifestyles. It is home to more than 220 foodservice restaurants, including Subway and Dairy Queen. Kangaroo Express associates are committed to providing store guests with the fastest, friendliest and cleanest shopping experience. With more than half of its stores located within 25 miles of a military installation, Kangaroo Express has supported the military and their families for many years, most recently raising $3.17 million for the USO and other military support organizations as part of its summer-long Salute Our Troops® fundraising campaign. For more information, visit www.kangarooexpress.com or visit us on Twitter and Facebook.